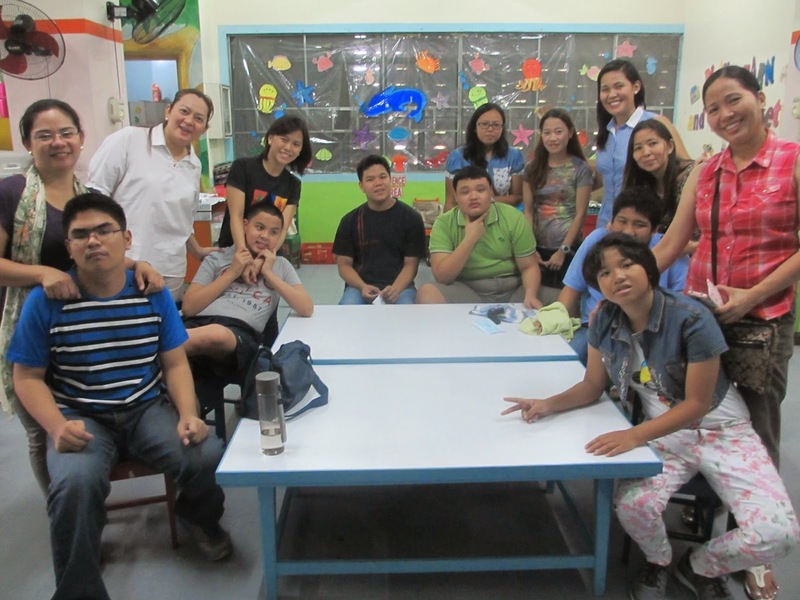 Teaching Measurement and Sanitation to Teenagers with Autism was an 8-session program implemented by four Graduate Students from the Department of Special Education, College of Home Economics, UP Diliman as part of their requirements in their EDSP 205 class. Teacher Maidi Asuncion, Teacher Inna del Mundo, Teacher Trina Libron and Teacher Tricia Raralio all found the idea of having baking activities an interesting way of teaching measurement and sanitation to teenagers with Autism. With this idea in mind, the teachers agreed to have teenagers as participants because of the prerequisite skills needed and the basic knowledge and interest of teenagers in food particularly in baking. The next step was very crucial for the implementers as they needed to look for six (6) participants who are interested in the proposed activity. As suggested by other school administrators and professors, they asked for assistance from the Autism Society of the Philippines in inviting and gathering interested participants. In two weeks’ time, the required number of participants for the program was reached and the program pushed through. The program had six teenagers as participants, 5 boys and 1 girl, of ages 12 – 17 years old. The 8-session program was implemented in four different days, having two sessions per day, at Kiddy Joy Learning Center, Kamuning Quezon City. Each session lasted for 1 and 1/2 – 2 hours. The first session was done on March 31, 2015 to check the current skills and understanding of the children in measurement and sanitation involved in baking. The basic variant made was Chocolate Chip Cookies. Through the first session, it was seen that most of the teenagers were able to fill the measuring cups with the needed ingredients, yet they still had to be taught how to properly measure the ingredients. They were also guided in choosing the appropriate measuring tools to use. The succeeding sessions of the teenagers yielded different variants of the Chocolate Chip Cookies. For each session, the implementers try to limit the extent of how they facilitate the activity, checking if the teenagers will be able to follow through the procedures with just having the Baking Manual as their guide. The 2nd session was their time to bake the second variant, White Chocolate Chip Cookies. It was done on the same day when the first session was implemented. The teenagers baked Peanut Chocolate Chip Cookies and Raisins Chocolate Chip cookies for the third and fourth sessions respectively on April 6, 2015. For the fifth and sixth sessions, they were all excited to bake Rainbow Chocolate Chip Cookies and Marshmallow Chocolate Chip Cookies on April 8, 2015. On the last day of the implementation, the 7th session was used as an evaluative session in baking Chocolate Chip Cookies as the implementers gave little to no verbal instructions to the students as they followed the procedures in the Baking Manual. The 8th session became a festive session for the students as it was set as the Culminating Activity done through a Cookie Party where the participants and parents were thanked for their valuable participation in the program. The students got to take home cookies that were baked for them by Teacher Tricia. The whole baking experience with teenagers with Autism was a very fun-filled and fulfilling experience for everyone. The experience became worthwhile because the implementers had the chance to implement a free program to these students and it was very rewarding to see the students learn how to properly measure dry and wet ingredients, including the term “leveling”. The best thing that this implementation had to offer was the implementers seeing the glow and the smiles on the students’ faces whenever they see the finished products after each session. It became a fun and meaningful program because of the enthusiasm of these teenagers to learn different concepts through baking. About the contributor: Trina Libron is a Preschool Teacher and College instructor and is currently a graduate student of Special Education in UP Diliman.